A small village primary school is to close next year despite a campaign by the community. There are currently 18 pupils at the Pontfadog school in the Ceiriog Valley near Chirk, the reason, Wrexham County Borough Council said, it was making the decision. Parents say they will appeal to the Welsh Assembly and their local assembly member, Ken Skates, to try to overturn the decision. They say consultation on the closure was ignored. A campaign group says that it will now press Mr Skates to see if he can alter the decision. There are currently three primary schools in the valley, the Welsh medium Llanarmon primary, dual stream Cynnddelw at Glyn Ceriog and the English medium Pontfadog. The report to councillors said there was a growing Welsh medium demand in the valley with English medium numbers are dropping at both Pontfadog and within the Cynddelw English medium stream. Councillors voted to close Pontfadog and re-locate pupils to Cynnddelw says it would mean a nore effective and efficient education system within the valley. Councillor Trevor Bates, county councillor for Ceiriog Valley, told the meeting this week that the community felt it had not been given enough time for people to make their feelings known. 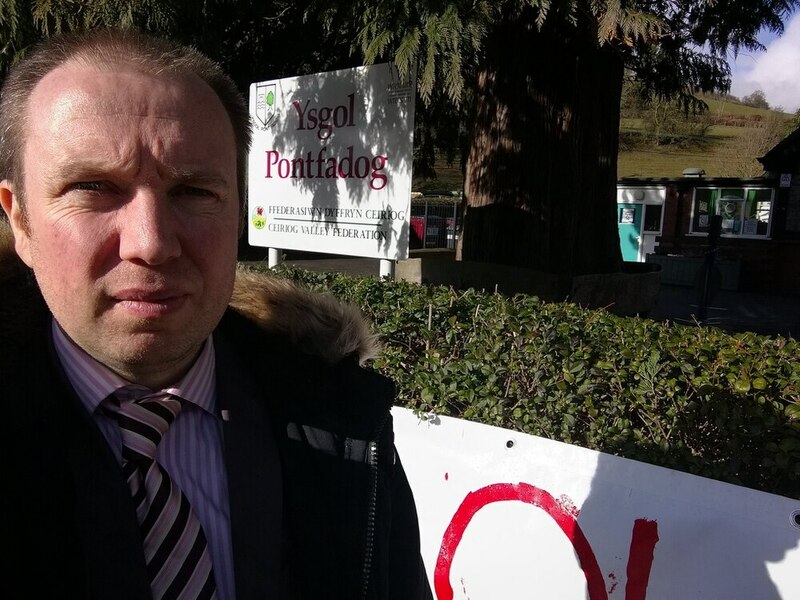 Councillor Dana Davies said the decision would deprive families the option to send their children to an English medium school and said the council should instead turn Cynddelw school in Glyn Ceiriog into a full Welsh medium school and move the English medium pupils to Pontfadog. The last intake of students at Pontfadog Primary School will be in September, with the school closing its doors in July 2019. Plaid Cymru has criticised the decision. Mabon ap Gwynfor, Plaid Cymru’s spokesperson for Clwyd South, said: “Ysgol Pontfadog has served the community of Pontfadog well. The communities of Pontfadog, Dolywern and Glyn Ceiriog all wish to see it remain open. The Governing Body of the federated school have supported retaining Ysgol Pontfadog, and the elected representatives representing those communities wish to see it kept open. "The executive on Wrexham Council has decided to close the school against all local opinion. This shows a complete disregard for the communities of the Ceiriog Valley." “The decision is short-sighted in the extreme as it’s unlikely to save money in the long term and will leave the authority with what will be, once empty, a rapidly deteriorating asset on their hands."